Investors are flocking to the Barcelona property market with increasing fervor. The city has rebounded from the 2008 global financial crisis, and its property market now boasts a wealth of favorable investment conditions. Top-notch properties are still comparatively cheap. The potential for price growth is huge. More and more tourists are swarming the Catalonian capital with each passive year, boosting rental demand. Demand in Barcelona’s central districts is driven mainly by international investors snapping up new-build or refurbished apartments and blocks of flats. According to data released by Barcelona’s City Council, new-builds in the city have been selling at a rate of more than 1,000 units annually since 2013, when the city’s property market scraped its post-crisis low. These statistics include both Spanish and foreign purchasers. The same source revealed that international buyers accounted for 14% of all property purchases in Barcelona during the second quarter 2016; in the new-build market, that figure reached 18%. However, in certain districts of Barcelona foreign purchasers far outnumber their domestic counterparts. For instance, global real estate firm, Engel & Völkers reported that foreigners comprise 75% of purchasers in the districts of Eixample and Ciutat Vella. The remaining quarter include Barcelona locals (15%) and other Spanish nationals (10%). The new-build market in particular has experienced a resurgence in Barcelona. Since 2013, the number of new developments launched has surpassed new development completion rates. According to City Council data, during the first two quarters of 2016, Barcelona granted a total of 655 building licenses – a 50% increase compared to the same period in 2014. Analysts from the American real estate firm CBRE Group estimate that the city’s new-build market will double in the coming decade, with potential demand for some 7,900 new homes annually between 2016 and 2025. Price growth in Barcelona is outpacing that of the rest of the country. This may owe to the fact that while Barcelona reached its post-crisis nadir in 2013, Spain as a whole only hit bottom in 2015. Across Barcelona, high demand is driving up property prices, which have increased by an average of 21% since 2013. According to leading Spanish property site Idealista, Barcelona properties were selling for an average of €3,667 per square metre during the third quarter of 2016. Of course, the average is considerably higher in the city’s most sought after districts. The prices of new and refurbished properties on the best streets of Eixample, Ciutat Vella and Sant Gervasi range from €5,000 to €15,000 per square metre, according to Engel & Völkers. Tranio.com’s in-house research has revealed that even though prices are on the rise, Barcelona is a bargain compared to other European cities with bustling property markets. On average, apartments in the Catalonian capital cost less than half as much as those in Paris and Munich, and are about 3.5 times cheaper than those in London. Prices in Barcelona are still some 26% lower than they were in 2007, when property values peaked ahead of the global financial crisis. This indicates enormous price growth potential and many lucrative opportunities for speculative investors eyeing redevelopment projects. Rental prices in Barcelona are also growing. According to the City Council, in 2014 rental prices in the city dipped to a 10-year low of €10.20 per square metre, per month. By the second quarter of 2016, that figure had climbed to €12.10 per square metre, per month, meaning a 40 square-metre flat currently rents for an average of €480 per month. Savvy investors are increasingly opting to put their Barcelona properties on the short-term rental market, where they can earn yields of 6-7% – well above the 3-4% yields long-term rental investors typically see. According to data obtained from industry leader Airbnb – users pay an average of €100 per night for Barcelona short-term rentals. The Barcelona short-stay property market has strong potential as tourism rates have grown consistently, having reached 7 million in 2015, and are set to flourish further. 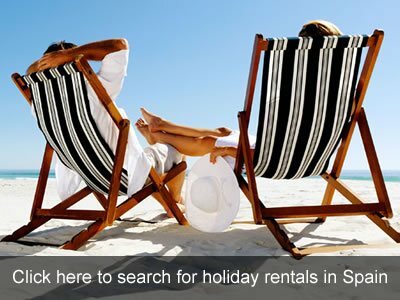 Most tourist rentals are located in the Ciutat Vella (in particular: Barri Gòtic, El Raval, La Ribera, Santa Caterina and Sant Pere) and Eixample (in particular: Dreta de l’Eixample). Thanks to record-low interest rates, a growing GDP, shrinking unemployment rates and a lack of development-ready land, the Barcelona property market is set to continue booming. Low mortgage rates are among the key drivers of market growth in Barcelona. Spanish banks provide non-residents with 70% LTV loans at 4% per annum, while residents can take out a loan with up to 80% LTV at as little as 1%. During the financial crisis, the lending market froze, but as soon as financial institutions in Spain resumed providing loans, Spaniards resumed actively investing in property. This process was helped along by the European Central Bank’s (ECB) quantitative easing policy, which increased EU bond purchases and poured money into European financial institutions. In theory, property demand in Spain and Barcelona would most likely decrease if mortgage rates were to rise. However, judging by the fact that the European Union’s gross domestic profit is growing at a rate of 1-2% each year, the ECB is unlikely to increase the cost of financing in the near future. Furthermore, property prices in Spain are expected to surge by 20% between 2016 and 2020, and Barcelona’s price growth is expected to continue to outpace that of the rest of the country during that period, according to website Trading Economics. In May 2016, alternative investment firm Aquila Capital surveyed 64 institutional investors, 69% of whom opined that Barcelona is the best Spanish city for residential property investments. For all of these reasons, we at Tranio.com believe the time is now to cash in on this burgeoning market. Hi Patrick. Yes it was indeed a guest article (as per the byline at the base… which shows who wrote it). Tranio is a portal for real estate agents. The AirBnB situation in Barcelona has been formalised since the article was written back in 2016 – but of course you are correct to say that people should have the correct licences before renting out their properties.